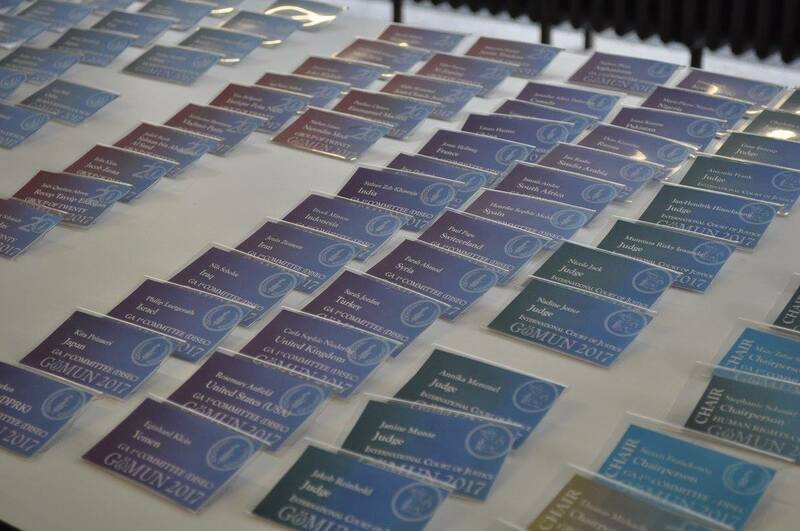 welcome to Göttingen Model United Nations 2019! 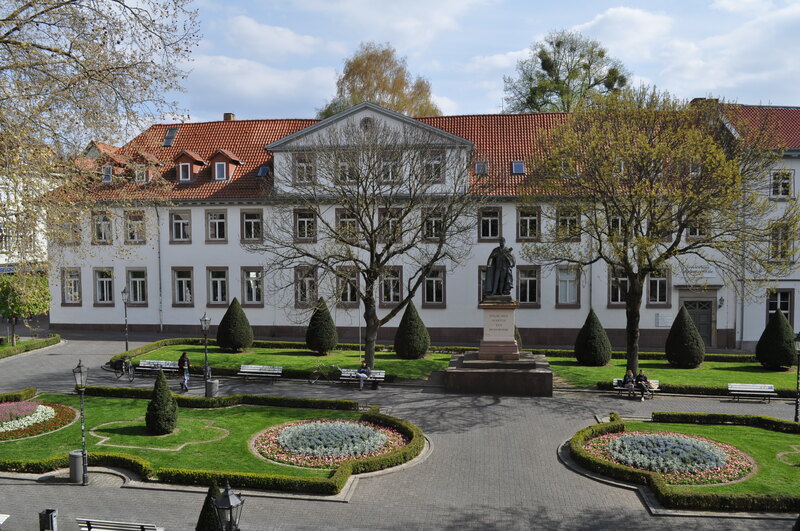 We are delighted to introduce you to our very own conference in the beautiful city of Göttingen. This year’s motto is “A bright future ahead? - How to achieve prosperity in uncertain times.“ and directly relates to last year’s motto „Apocalypse now? - How to outlive our past.“. With this year’s motto we want to draw the attention away from old schemes and encrusted policy decisions towards new, outward looking and sustainable solution finding for the issues of today and tomorrow. However, the notion of a modern globalized world that is essential to our generation and the way we think about the global strive for solutions is being surrounded by an environment of increasing uncertainty and instability. With right-wing parties on the rise throughout the world, escalating tensions of old conflicts, the challenge of climate change and growing mistrust towards globalizing and international structures, we are faced with problems that could disrupt our vision of a peaceful and cooperative future. So what can we do? Do we have the power to overcome age old divisions and create an understanding for the values and principles we hold dearly? These are just some of the questions we want to provoke during the conference. 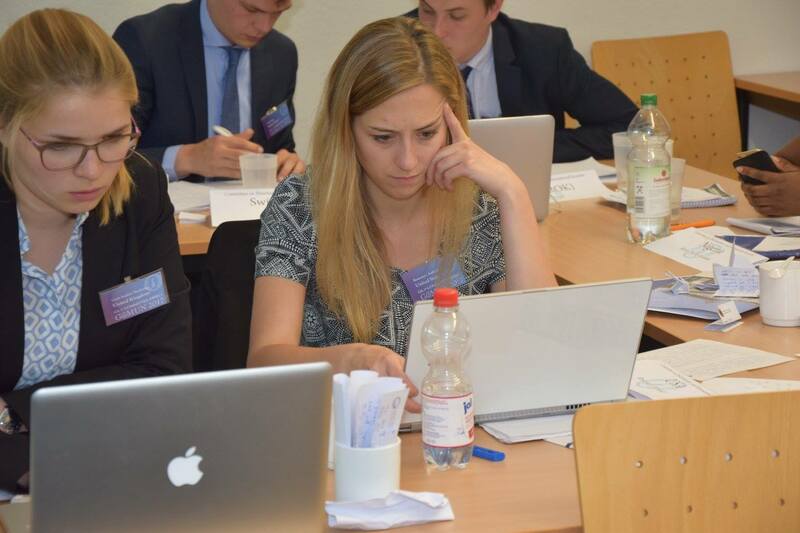 We are confident that we can find answers and maybe even more importantly: that we can find platforms for exchange and debate which lie steadily and calm in the waters of international relations. 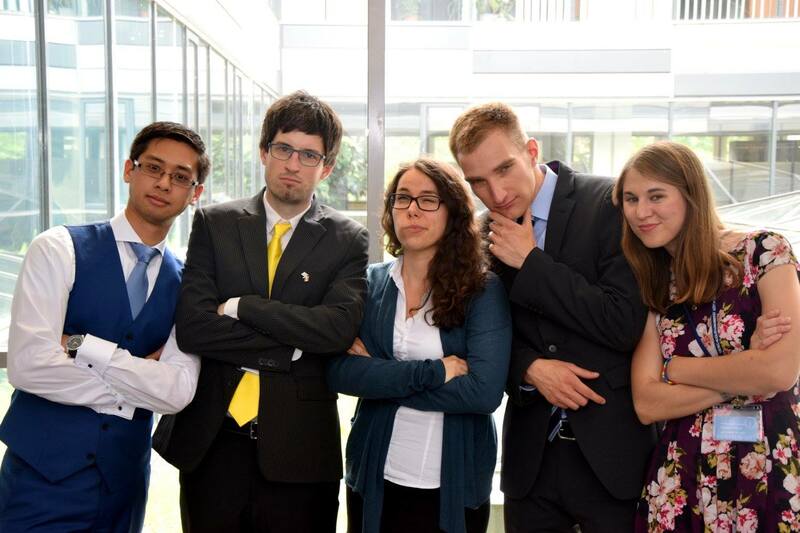 The GöMUN ´19-Team is looking forward to meeting you in Göttingen! For more information regarding the conference please check this website and our social media pages – or send us an email (goemun@gmail.com). 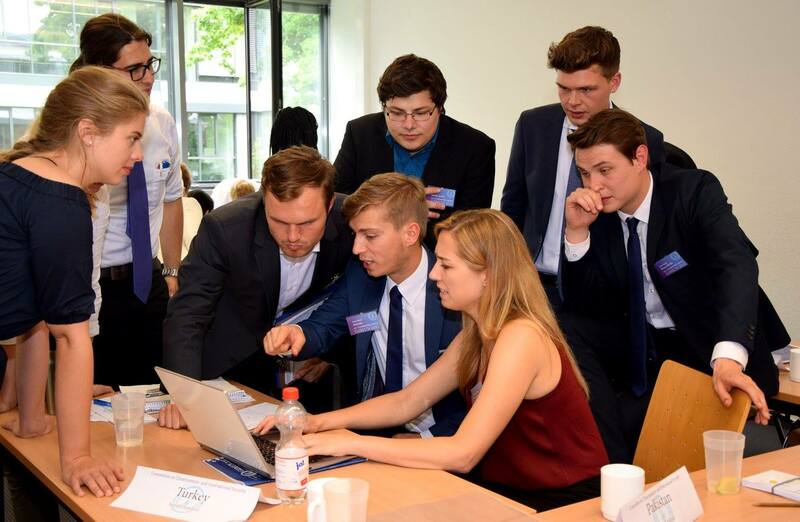 We annually organize our very own Model United Nations conference, which is an integral part of our work, with up to 140 participants. 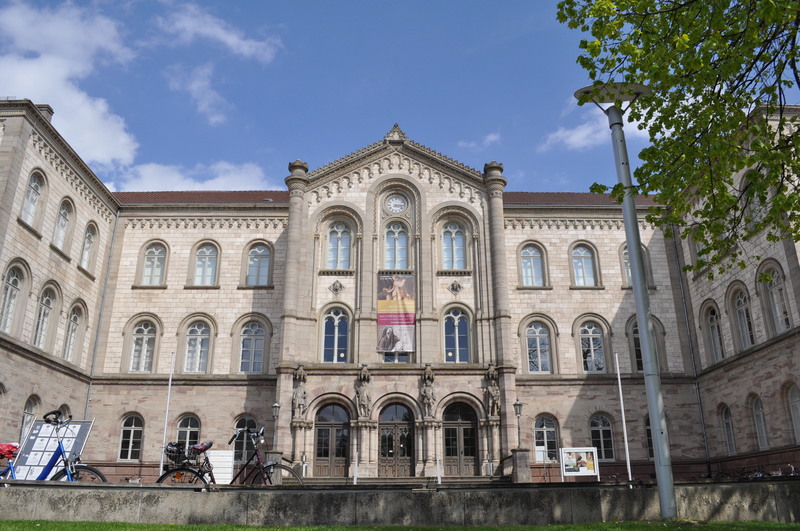 Click here if you want to find out more about the unique GöMUN experience. The MUNSG e. V. sends members to different conferences all around the globe to represent our society as delegates or chairs. 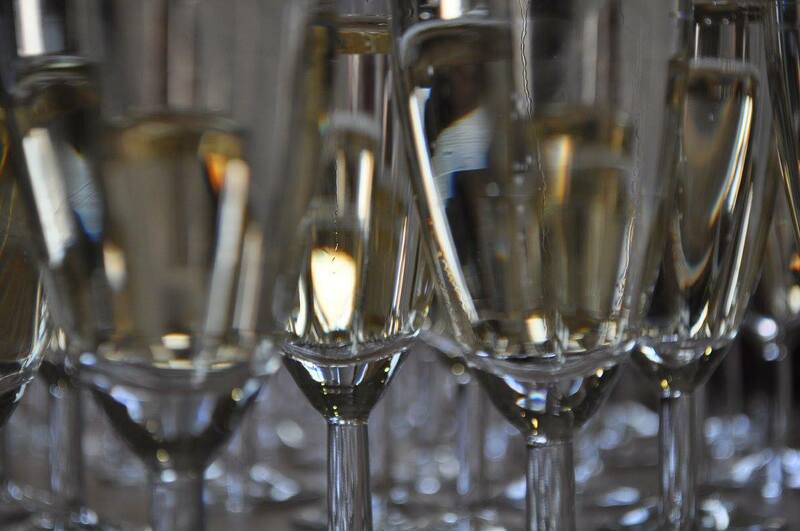 To find out more about where we have been lately click the button above. 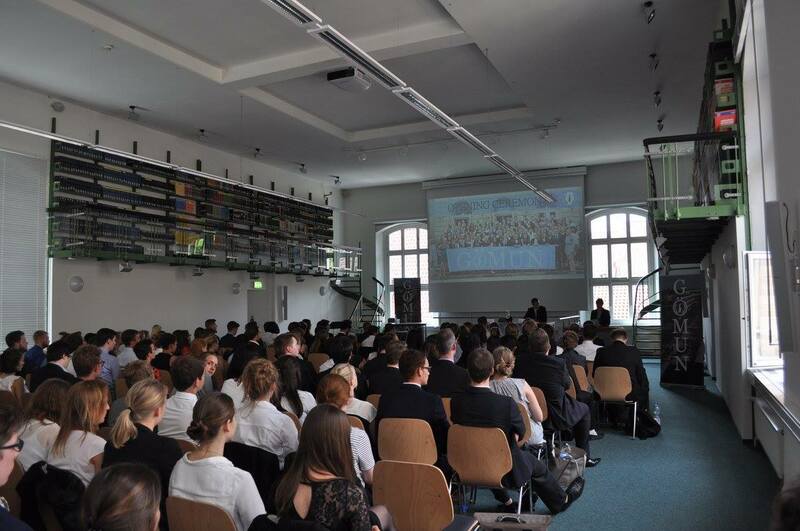 Our society is also engaged in a program organized by the United Nations Association of Germany e. V. called „UN im Klassenzimmer“. 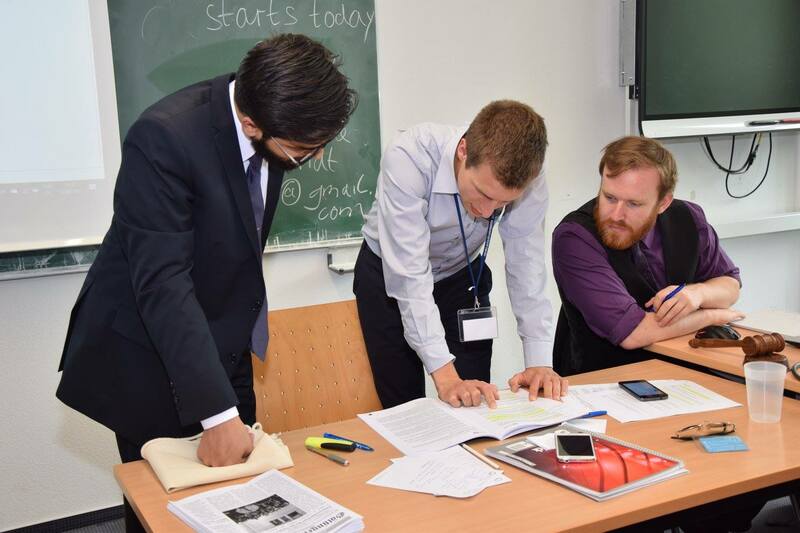 In this project, volunteering university students teach pupils about the United Nations. 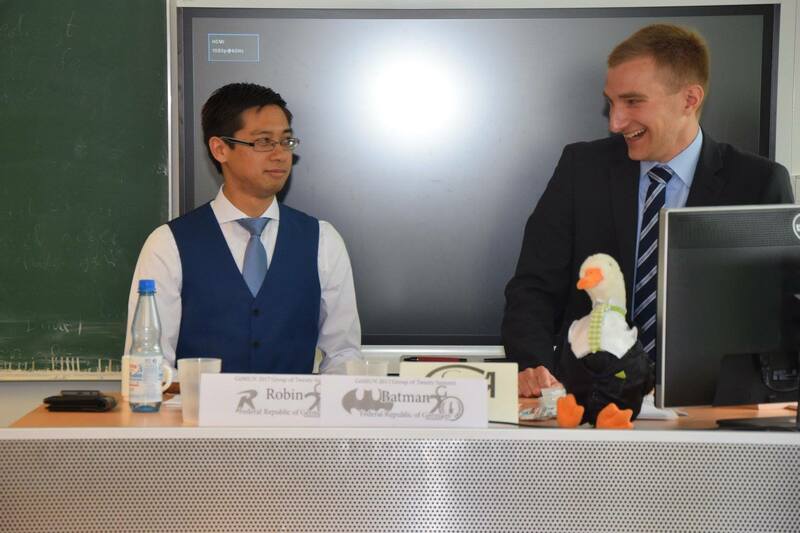 Our society also organizes various lectures and discussions with well-known individuals such as the Member of Parliament Jürgen Trittin during the semester. If you are interested, click the button above. Do not worry! Just join us during our usual meetings on Monday evenings at 8pm c.t. in the Oeconomicum 0.169. Feel free to join us whenever you like, new members can (and do) join the society all year around. 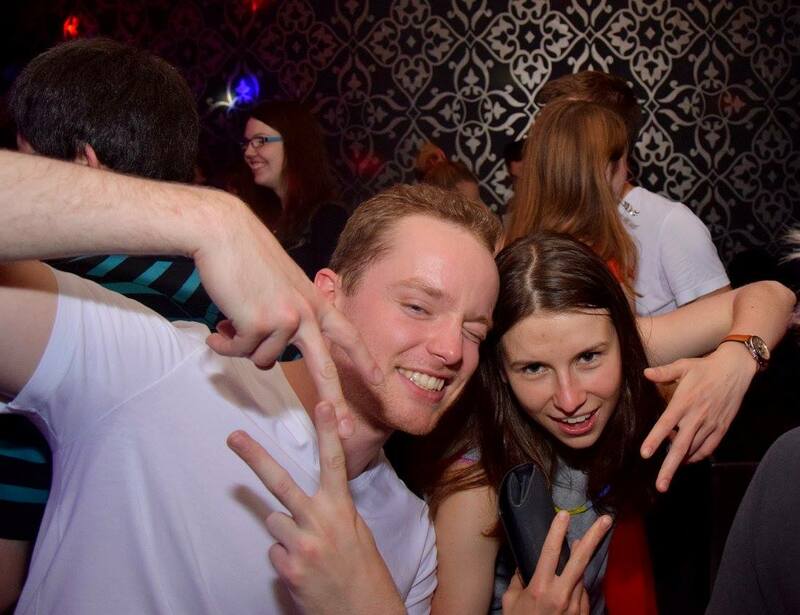 Therefore, it is not awkward at all to show up in the middle of the semester, so you absolutely do not have to wait for our next “Einsteigerabend”. We are looking forward to meeting you! 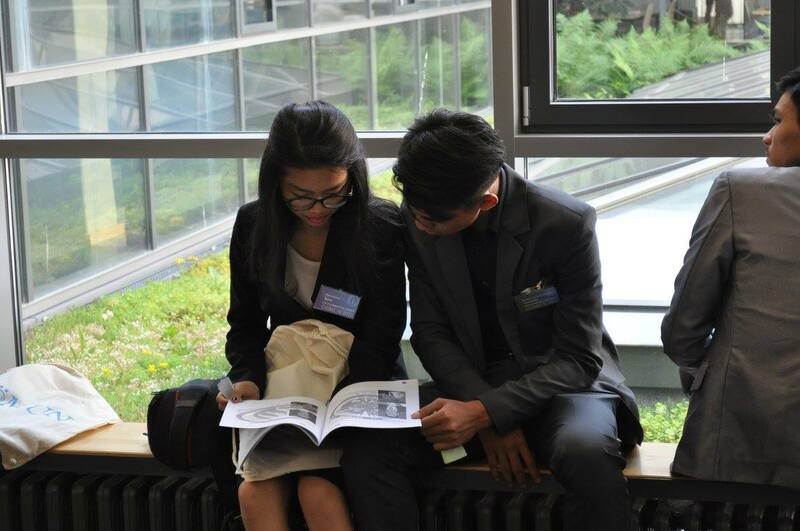 The Model United Nations Society Göttingen e.V. 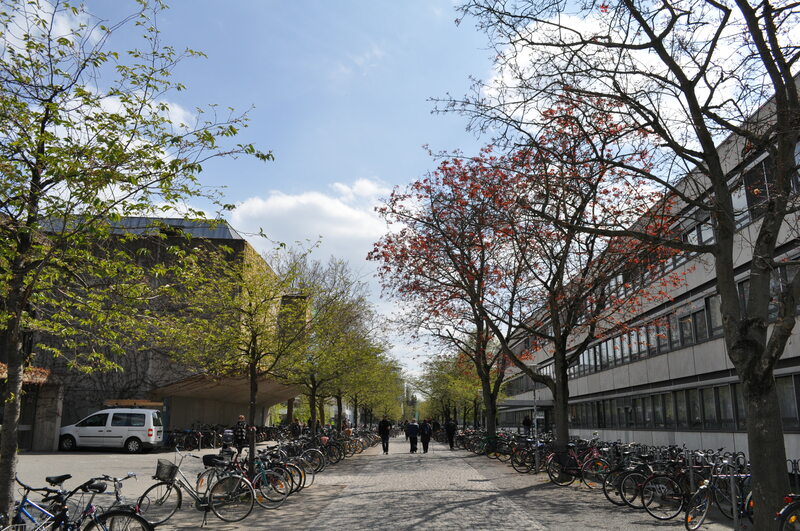 (MUNSG) was established in 2005. 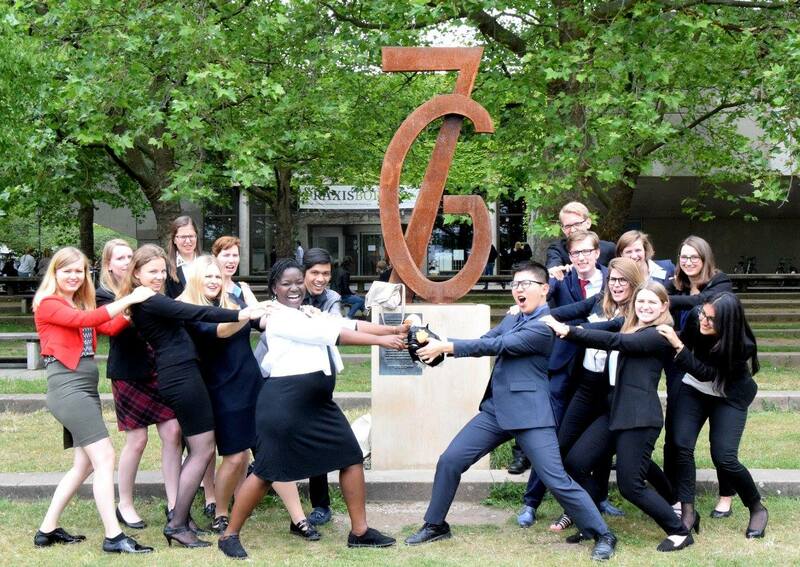 A group of students decided to participate in the famous Harvard World MUN in Edinburgh and founded the society. 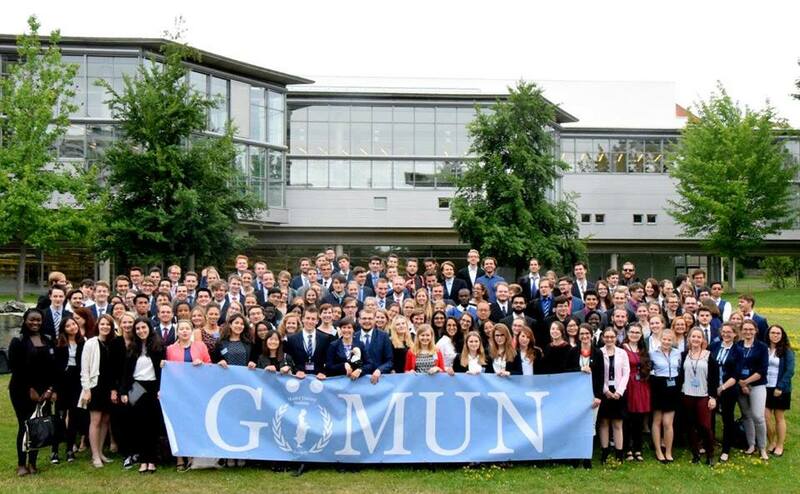 Since then, the society has constantly evolved and was proud to organize their first GöMUN-conference in 2009. 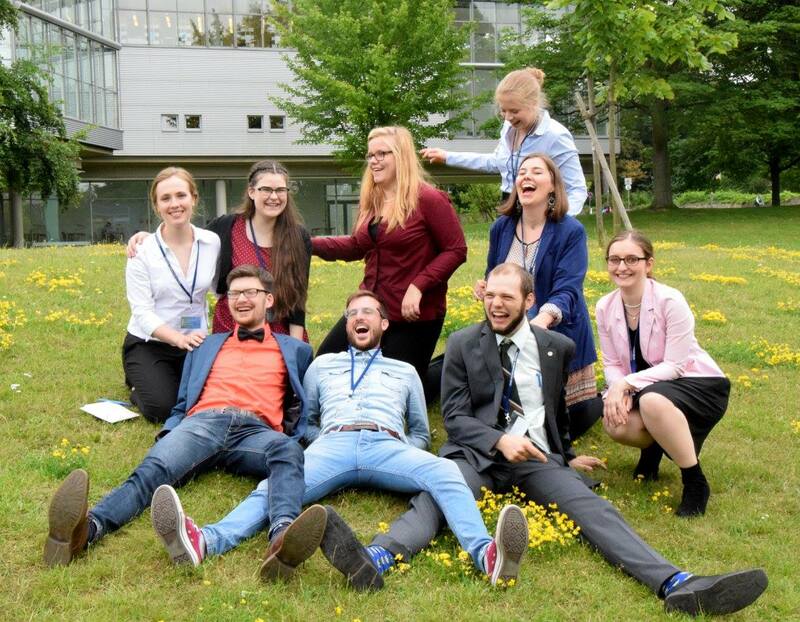 Apart from planning and holding the conference, the society works closely together with the Department for Political Science of the Georg-August-University Göttingen. 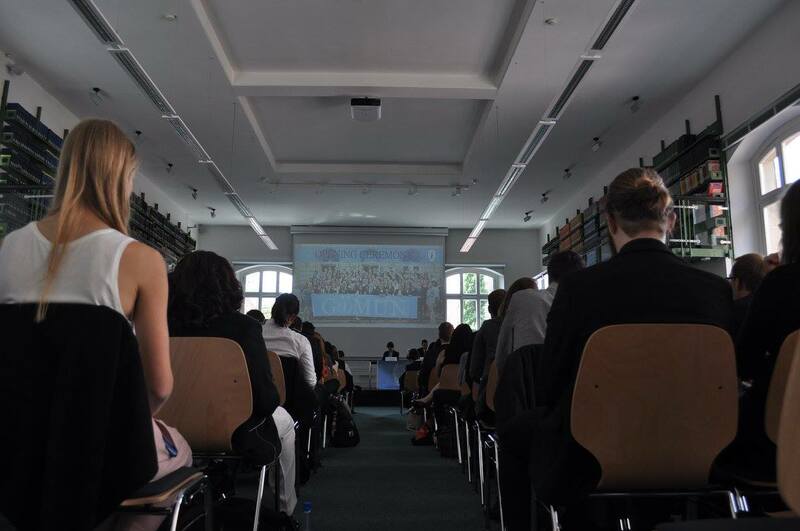 Since the winter semester 2006/2007 the University offers an interdisciplinary seminar about the United Nations in cooperation with our society. 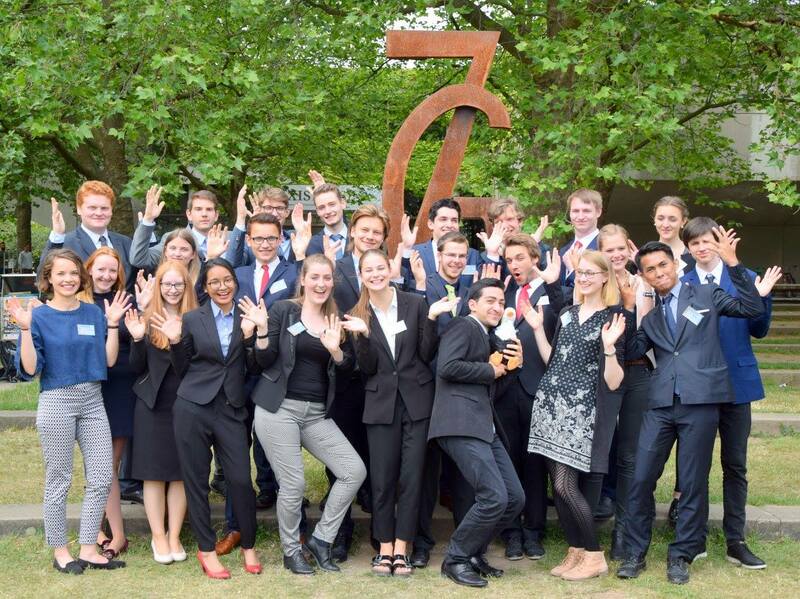 As a non-profit organization with the aim of improving international dialogue, the society also raises funds to offer financial support to its members, who wish to attend MUN-conferences, whenever possible. 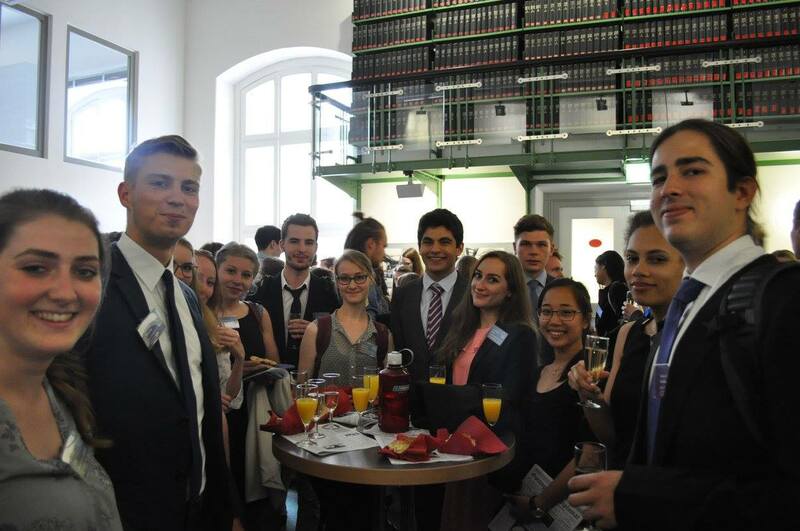 Besides our engagement in Göttingen, we are working together with other MUN groups in Germany. 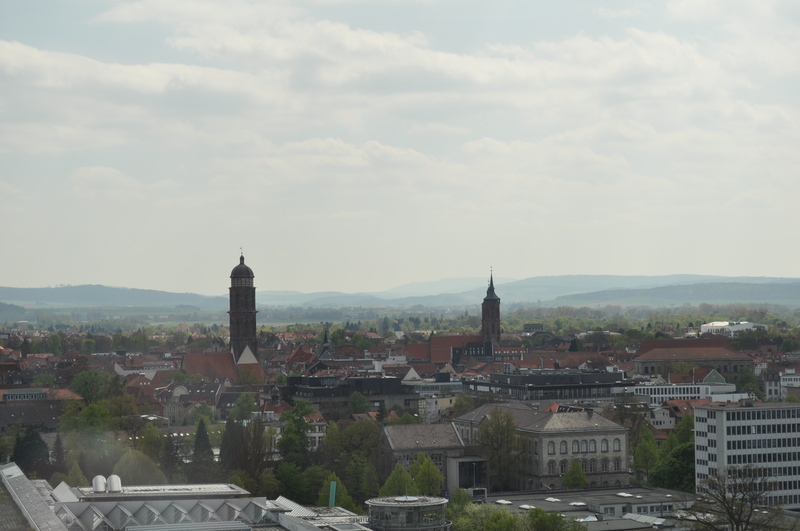 Under the roof of the network Junges-UNO-Netzwerk (JUNON) we are helping to plan assemblies of delegates, workshops for other MUN groups and substantive work groups or study tours. 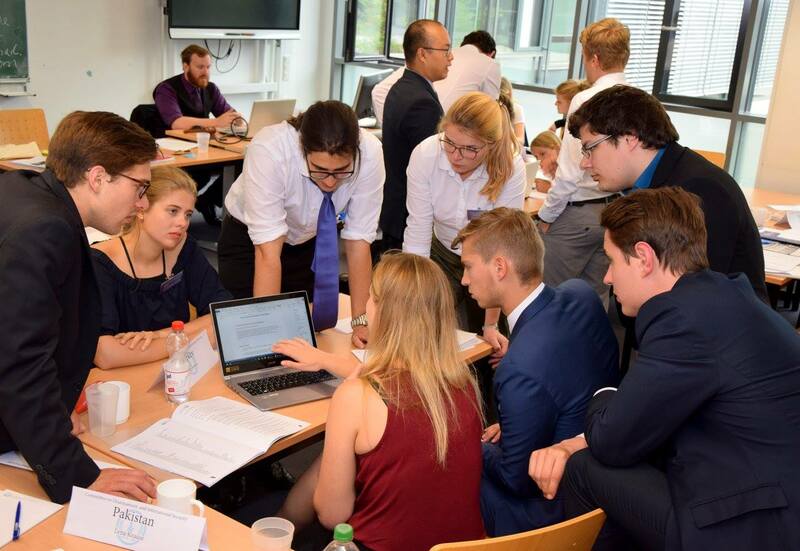 Since the summer semester 2017 our society is proudly partaking in the project "UN im Klassenzimmer" (UN in the classroom), teaching pupils about the United Nations. 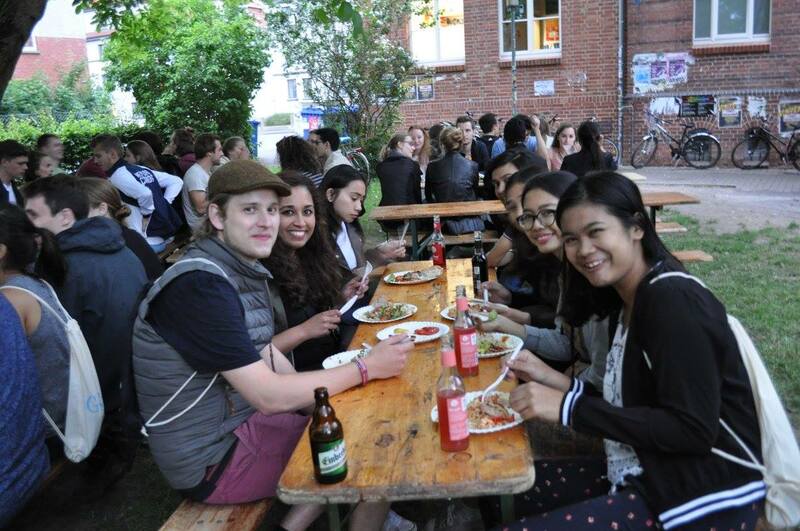 JUNON is also a partner organization of the United Nations Association of Germany e.V. Sie sind Lehrkraft und möchten die UN ins Klassenzimmer holen?